Dated possibly in the Neolithic. 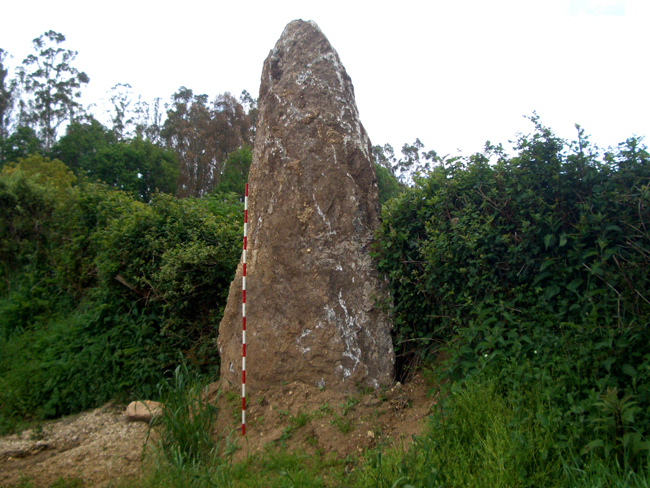 It is probably one of the largest menhirs “stones” in Galicia. It has an elongated almond shape, with symmetrical faces and a pointed vertex. It reaches an estimated height of about 5 m., of which 3,3 m. are visible, with the lower part buried.